Public Highways and Information Highways - 10 & 2 R U? April is National Distracted Driving Month. Distracted Driving is not only a problem, it is an epidemic. A recent study by AAA found girls are more susceptible to this behavior as opposed to boys. In fact, the study found that girls were 50% more likely to reach for an object and 25% more likely to eat or drink while driving. According to an article appearing March 28th in The Oklahoman, 21% of fatal crashes involving a teen driver involve the use of a cell phone and 46% of teen admit to texting while driving. Researchers collected 7,858 video clips from six months of driving that found distracted behavior occurred 15% of the time. According to other very disturbing numbers, 500,000 Americans are injured while texting and driving and 6,000 are killed. The Tulsa Crime Commission organized a group consisting of teens to discuss problems facing teens today. Their group is called, Generation Text. Generation Text, headed by Carol Bush, the Tulsa Crime Commission's executive director, advocates 3 very simple pieces of advice, "Stop. Drop. And Drive." The Oklahoma Legislators are tackling the dangers of texting and driving by promoting legislation to ban texting and driving. If passed Oklahoma will be the forty-second state to ban this dangerous behavior. The Service Learning class at Ringwood High School is following SB442 which would outlaw writing, reading, and sending a text while operating a motor vehicle. A recent article in the Daily Oklahoman discusses the difficulty we have had in Oklahoma passing such legislation. It concludes by saying that this measure would NOT cost the state a penny!! What could possibly be the downfall? The Service Learning students have researched the dangers of this issue to support evidence backing up their efforts. Information was centrally gathered in individual Wikis as part of their electronic portfolios. Students also created a bulletin board, wrote an obituary for Alex Brown (17 year-old victim of texting and driving accident), created sidewalk chalk drawings, created a ToonDoo, hung message cards on student lockers, made daily public service announcements over the PA, and Skyped with Jacy Good in New York. Jacy was given a 10% chance of living after being involved in an accident that also took the life of her parents. The family was returning home after attending Jacy’s college graduation ceremonies. They were hit by a semi-truck that swerved to miss a young man who ran a red light. He apparently, according to the police reports, had been talking on his cell phone. Jacy has appeared on Oprah and now makes her living going school to school to advocate the dangers of distracted driving. In addition, the students also and made a presentation to the 7th-9th graders the Friday before Spring Break. On April 9th, the Service Learning students at Ringwood High School will make a trip to the State Capitol to meet personally, our Senator, and visit with him. Each student was asked to email Senator Marlatt introducing themselves and the issue we are advocating. This will be a culminating activity that will serve to introduce the students to the governmental process of enacting legislation, as well as, our civic duty to be involved and informed citizens. We have followed the progression of this Bill by referencing the State Legislature's website. We each signed up for updates by establishing an account; plus, we are able to view stages the Bill goes through by keeping up with public postings on the website as the Bill goes from Committee to the different Chambers. Curriculum in the 21st Century is focused on involving students as stakeholders in their community by addressing real world problems. Students learn to research issues that affect not only themselves, but their community. We want our students to apply learning that otherwise lies dormant in between the pages of old, outdated textbooks. Twenty-first century pedagogy will impact the way our students learn and apply knowledge. It will include a new definition of community expanded to include a global community, as well. Global citizenship is essential to prepare our students for a rapidly changing world. It forces us to think outside the box, be forward thinking, and become activists so that we affect positive change. The Service Learning students learned how to advocate this issue using a global platform. Through the use of Skype, Wikis, Google Alerts, GMail, and our Ning (www.dontextandrive.ning.com), students are learning that they can use the Internet and other cloud computing tools, to amplify their efforts. How important is technology in the classroom? It is huge! Currently, the Oklahoma Legislature is considering the inclusion of computer science as a graduation requirement. According to Code.org, more than half of the projected jobs will be in STEM fields. In Oklahoma, an estimated 3,226 jobs will be generated that require the math and science skills of computer science; and, only 49 schools teach computer science (Code.org, The Conference Board, National Science Foundation). 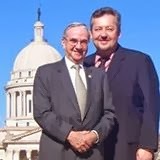 You, too, can support Oklahoma’s SB1442 by going to www.congressweb.com/Code/8. Our students will need to know how to navigate both types of highways: public highways and information highways. We want students who are able to get where they need to go. Learning how to navigate both types of highways is critical. Our students’ hands must be on the steering wheel! 10 & 2 R U? One of my favorite individuals to follow is Frosty Troy. I absolutely love him. His newspaper, the Oklahoma Observer, (now being edited by Arnold Hamilton) is citizen journalism at its best. The banner across the top of the newspaper reads, "To comfort the afflicted and afflict the comfortable". Frosty is a true champion for public education. Frosty never met a budget cut he liked especially cuts to public education and other public services. He frequently criticizes the Oklahoma legislators for their insolence displayed towards public education and it's little list victims. A drum he often beats, in order to expose the best of white collar crimes, is to bring attention to our biggest corporate buddies in Oklahoma who benefit repeatedly from gigantic tax cuts that clearly rob precious revenue from public schools. Frosty calls it "corporate welfare". It's no secret that schools continually are the losers. According to CCOSA, schools have lost $200 million in the last five years. What do schools do? They cram 34 kids in a 3rd grade classroom (or others). They go without technology. They go without full time librarians. In the case of my school now, they have no counselor. I do it along with my high school principal duties. I am also the special ed director. Oh, and I teach a service learning class. Frosty says, "Schools aren't critically underfunded - they're chronically underfunded." Public schools are competing with a group of neo-conservatives who are all but determined to privatize education. For example, Representative Jason Nelson has authored a Bill to establish an Education Savings Account which would allow parents to take children to a school of choice AND the per pupil funding that is attached to that child. Nelson's Bill targets low income families saying it is "anti-poverty legislation." It gets better. The "per pupil funding" would be placed into an account managed by the State Treasurer. Services (virtual charter schools), curriculum, tutoring, and "therapies", would be bought with a debit card, no less!! In the event money is left over, it can be rolled over to a college savings plan. If it is not used it goes back to the state. Why not the original school? Hmmm...Nelson says his Bill will help kids who are trapped in poverty. How much research has Nelson done on poverty and its affects? I just watched Arun Gandhi who is Gandhi's grandson. Arun is starting a new school in India for the poorest of the poor in honor of his deceased wife. His focus, however, is not only on the child but the family, too. His plan is to educate the parents - teach them to read and write, as well as, the child. Why? Because the child, once educated, does not want to return to the family STILL IN POVERTY! As a result, the child, Arun believes, will distance himself from the family and not return. Hello!! It doesn't take a rocket scientist to see that legislation like Nelson's is intended to benefit constituent(s) investors who, undoubtedly, will profit from the money spent in "their entrepreneurial utopia". In response to the original question, schools suffer from budget cuts. The lost revenues are never recovered. Where is the representation that schools need? As educators, our vote counts. Please support education with a vote or even better an email to your Senator or Representative. School district administrators often justify their discontent by rationalizing their way to an answer. For example, there will never be enough time, money, or people. Critical underfunding forces school budget makers to be creative and disciplined. It would appear in the face of this prolonged agony that schools are forced to endure the impossible. Education is seen as an irritating expense. In reality, however, education is not nearly as expensive as ignorance; a reality that our state lawmakers do not seem to recognize. They seem to be intent on creating extreme hardships for schools testing their resilience. Today, in fact, Oklahoma education was in the news. We made a top 10 list. Unfortunately, it is not a list we want to make. Oklahoma is being recognized as one of the top 10 worst educational systems in the U.S. Yeah for us!! Questions are constantly being raised as to whether money is the panacea for the shortcomings of education. David Thompson's book, "Money and Schools", makes it very clear that well intended annual budgets and strategic plans won't cover up inadequate performance. He writes educational opportunity, and the equality of, sets the stage for "fierce competition for fiscal resources in an increasingly fragmented society that is unwilling to support increased funding for education without evidence of greater cost-effectiveness and higher student achievement" (p. 14). Fewer dollars means fewer services. Fewer services means less quality. Education is an industry that is "often subject to a certain romanticism that fails to objectively ask whether the world was ever rational and gentle..." (p. 4). Thompson says an "adversarial approach" has divided opinions and created a lot of questions; but, support for every school "is essential". Thompson tells it like it is. If "public schools fail" loss of support will make alternatives very attractive. So if money isn't the answer, why are huge corporate conglomerates so eager to jump into the education? Just recently I read an article that disclosed figures that support an interest in alternatives. eLearning is a $52 or $56 billion dollar industry. Forbes lists many of these corporate entrepreneurs as top earning companies. Money for the old brick and mortar schools that support our place of employment, our classroom, our job description, and our job duties is being spent on pseudo classrooms. Thompson points out that as revenues diminish, cost effectiveness will become ever so important. Perhaps we should move away from being a regulatory agency preoccupied with performance on testing and shift to an experimental environment supported by reliable, valid research. After all, laboratory rats have it pretty good!! Maybe I'll #AskArne. This semester service learning students at Ringwood High School participated in a quantitative study designed to provide insight to possible correlations between mood, physical activity, and diet. The study was conducted by Dr. Chris Cushing from Oklahoma State University. 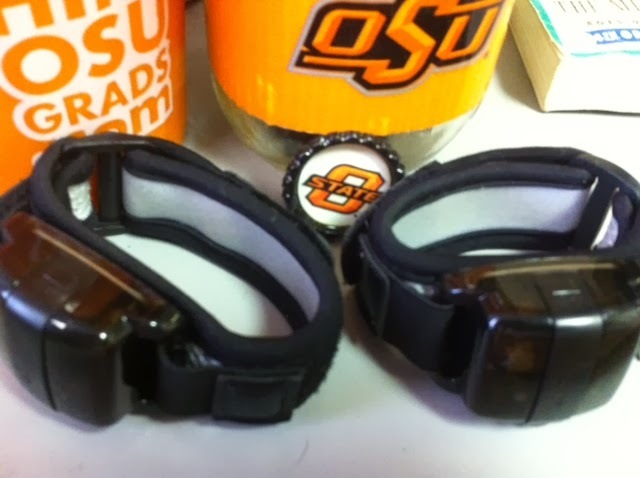 The nine students, six girls and three boys, were asked to wear an apparatus called an accelerometer around their wrist for twenty-eight days; in addition, a heart monitor was worn to analyze sleep patterns and sleep quality. The heart monitor fastening like a belt or a gun holster that crisscrossed their chest and back. Students were each given an Android phone. Students received an electronic survey via a text four times each day. The surveys asked personal questions designed to reveal information about their individual daily choices. At the end of the study, each student was asked to volunteer a saliva sample. The study’s long term objective was to determine whether specific DNA traits were characteristic of certain behaviors. For example, is one student more prone to be physically active over another; and, did their mood, diet, or sleep have any significance? Data obtained through Dr. Cushing’s research will provide valuable information. Efforts in the medical field are currently being made to personalize medicine. The study benefits were twofold. First, physicians could base diagnosis and treatment upon tailored information about the patient; and, second, patients could base decisions and choices for a healthier lifestyle upon the tailored information, as well. Students were monetarily compensated for their participation. Each student will receive forty dollars for their efforts. Students were asked to document their experience in a Wiki they created. The experience gave the students insight into the field of research. They not only learned about research, they were the research. Common Core State Standards will require our students to understand relationships between ideas, investigate ideas, and make informed predictions. Research is an anchor standard that first appears as early as kindergarten all the way up to 12th grade. Seniors will be required to conduct short, sustained research projects to answer self-formulated questions and solve problems. They will have to demonstrate an understanding of the subject under investigation. Students will have to become proficient with retrieving information, citing information, and organizing information into a succinct presentation that supports broad opinions, arguments, and inferences. Students will be expected to use technology to retrieve information and present information. As early as 1st grade, the Common Core State Standards will require students to use a variety of digital tools to produce and publish independent writing assignments. Education is, indeed, transitioning into an era where knowledge is created, produced and presented. Learning will be more relevant and connected to the world and community. Students will be an active participant as opposed to a passive participant. Learning will be more authentic as students are asked to advocate issues, defend their position with evidence based text. The CCSS represent a progression toward more self-directed, self-regulated learning. Stephen Covey writes in his book, “The 7 Habits of Highly Effective People”, that one must continually reinvent themselves. CCSS is designed to prepare our students for a radically changing diverse world. John Wooden is quoted as saying, “Failure is not fatal; but, failure to change might be.” Common Core is a change, but a good change. Creative Commons Attribution. Picture Window theme. Powered by Blogger.